If you’re still relying on physical, external hard drives to transfer and store your data, you’re missing out. Cloud storage services have come a long way since their humble inception when it comes to speed and security, and you can now land lifetime subscriptions to a variety of cloud services that offer terabytes of storage at increasingly affordable rates. 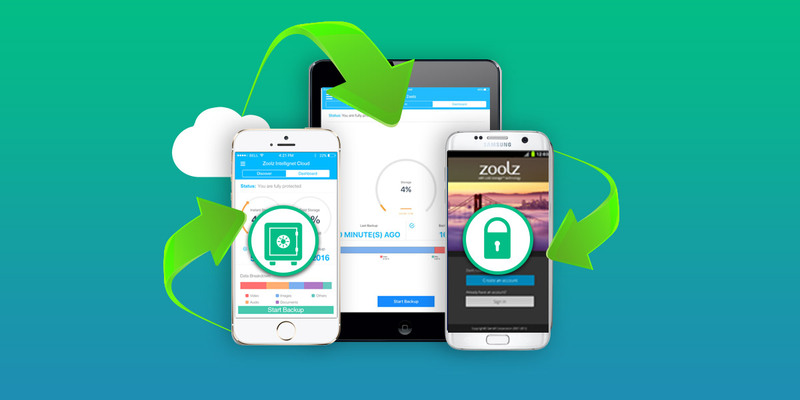 Zoolz is one of the most popular and secure cloud storage services around, and right now you can lock down a lifetime of 2TB of storage for just $44.95—over 95% off its usual price for a limited time. Unlike most cloud storage services that offer space at the expense of security or speed (or oftentimes both), Zoolz allows you to store your data in ultra-encrypted servers that deliver incredibly fast transfers for massive batches of data. This subscription gives you unlimited access to 1TB of Instant Vault storage that can be used for files you need to access on a regular basis, along with 1TB of Cold Storage that can be used for files you need to access less frequently. You’ll be able to quickly and easily select and retrieve files using a Smart Selection tool, and you’ll enjoy advanced features, such as bandwidth throttling, icon overlay, file retention, and more. Ditch the hard drives and land 2TB of storage for life with Zoolz Cloud Storage for just $44.95—over 95% off MSRP. Want your products featured in the XDA Developers Depot? Learn more about how to sell your products online!